Recently I participated in KÄRCHER Challenge and get to experience their products. Oh wow! I didn't realise cleaning can be made so easy. 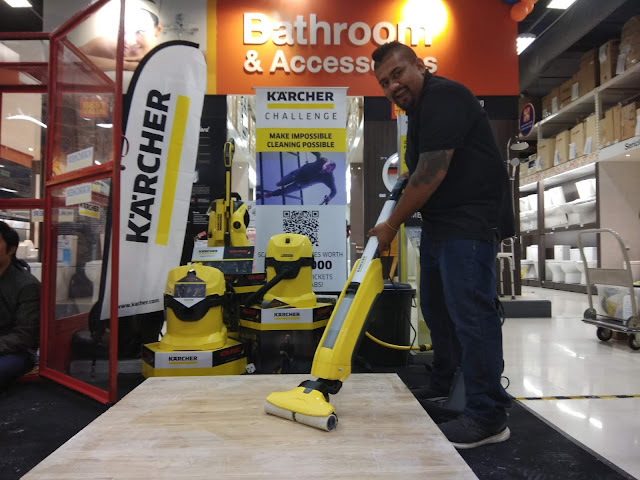 After using the products, now I truly believe KÄRCHER's tagline - MAKE IMPOSSIBLE CLEANING POSSIBLE! Plus there are up to RM60,000 worth of prizes (cash & products) as well as 1,000 movie tickets to be won!! !